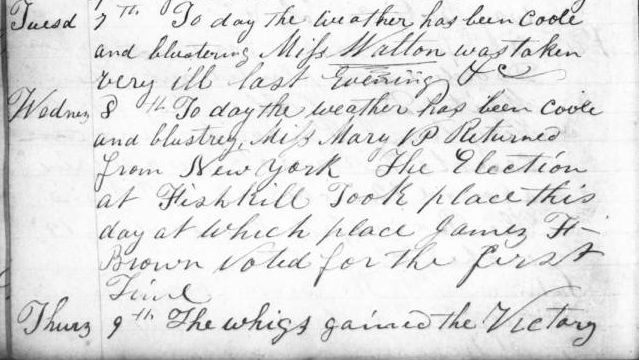 Decoration Day, on Tuesday, May 30th, though uncomfortably hot, was celebrated by the citizens of Matteawan and Fishkill Landing, who showed their patriotism and appreciation of the service rendered by the soldiers in putting down the great rebellion. The band from Newburgh arrived, accompanied by a delegation from Post Ellis of that city. They were met by the Denning Guards and Excelsior Fire Company No. 1, and marched to Matteawan, where they were received by a delegation from Post Howland, No. 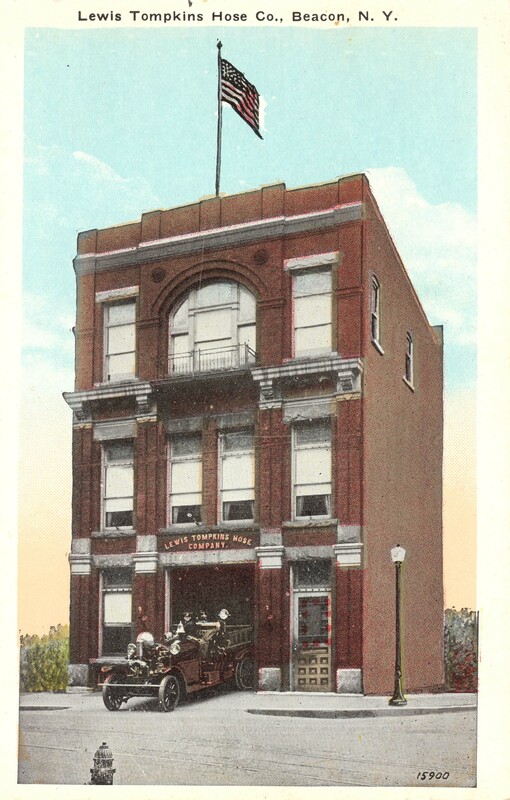 48, G.A.R., and Protection Fire Company, No 3 of Matteawan. This was the first Memorial Day in what is now the City of Beacon, organized by the newly formed Grand Army of the Republic (G.A.R.). This week Boy Scout Troops 41 and 1, Cub Scout Pack 3001, and the Beacon Historical Society placed flags on the graves of veterans buried in Beacon’s Cemeteries. On Monday, May 30th, at 10:00 Beacon will hold it’s annual Memorial Day Parade on Main Street organized by American Legion Post 203. On the headstones and monuments of our cemeteries, we can see the familiar names of our streets, buildings, fire departments, and schools. Here are a few examples. Charles Wolcott was 19th Century Industrialist who held an interest in the New York Rubber Company. He owned the estate known as “Roseneath”, located near the avenue named for him. 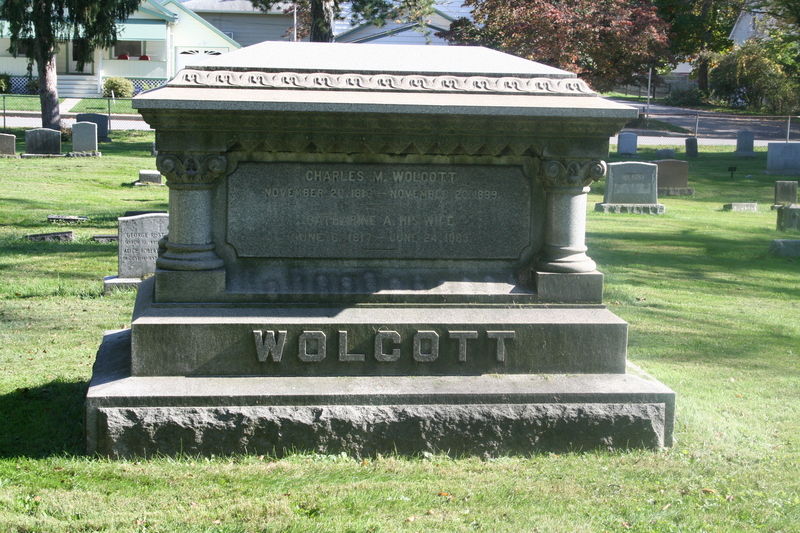 Charles Wolcott – he donated 6 acres to St. Luke’s for the new church. James V. Forrestal was the first Secretary of Defense. 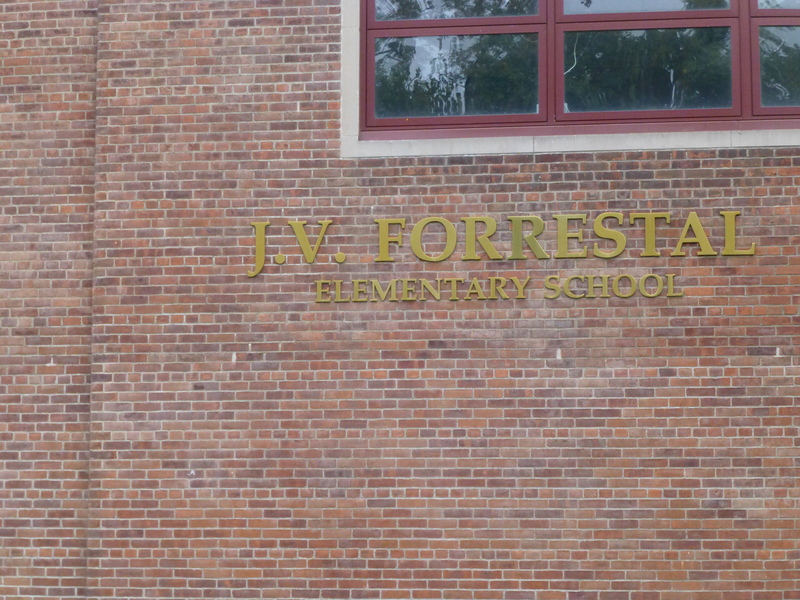 Forrestal School is named for him. 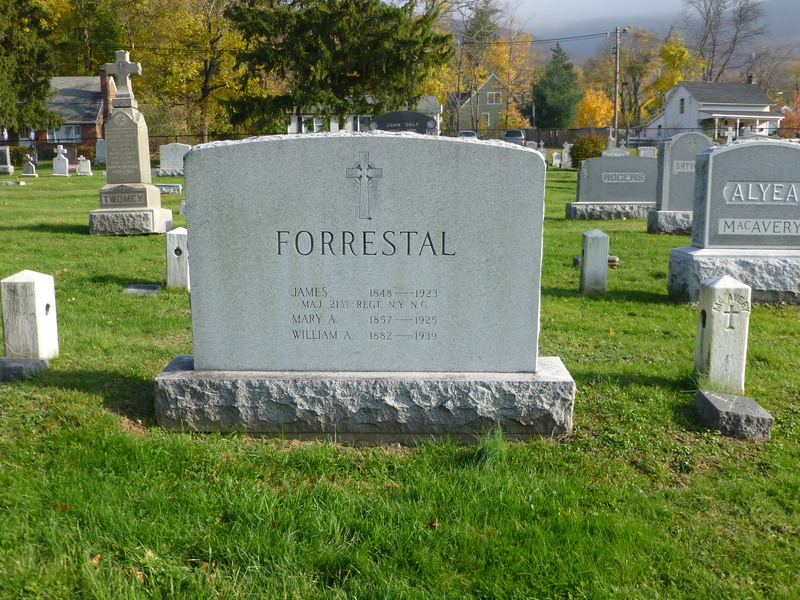 He is buried in Arlington National Cemetery, but his father, James Forrestal was well known in Beacon as a builder. 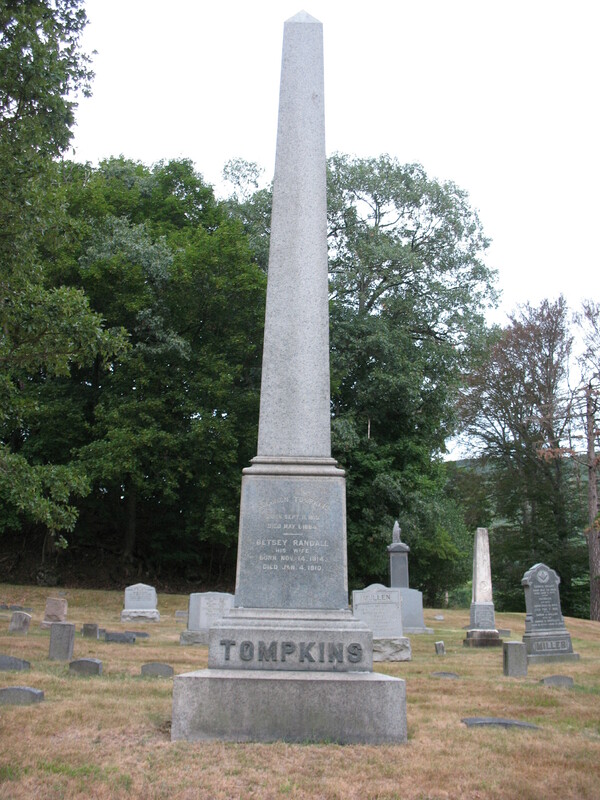 Lewis Tompkins owned the largest hat factories in Beacon. In 1886, he funded the Fire Company named after him: Lewis Tompkins Hose. 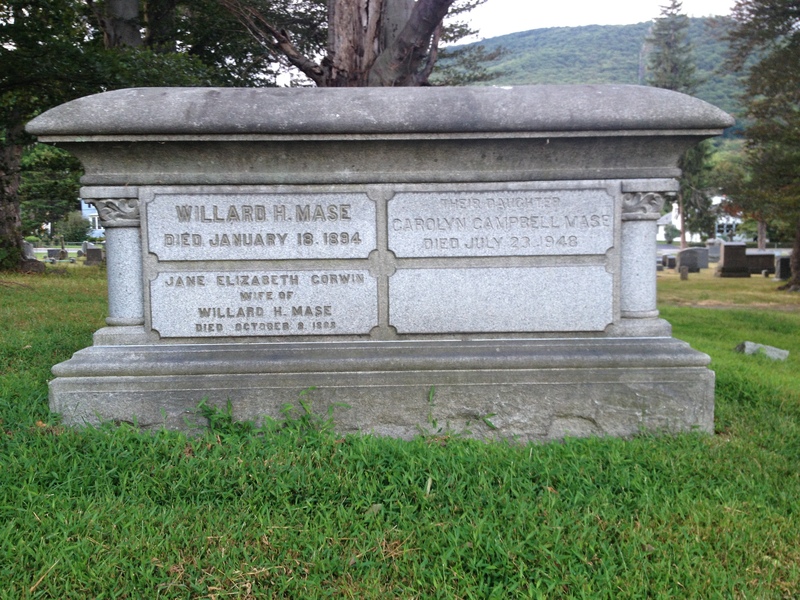 He was originally buried in St. Luke’s, but was re-interred in Fishkill Rural Cemetery. 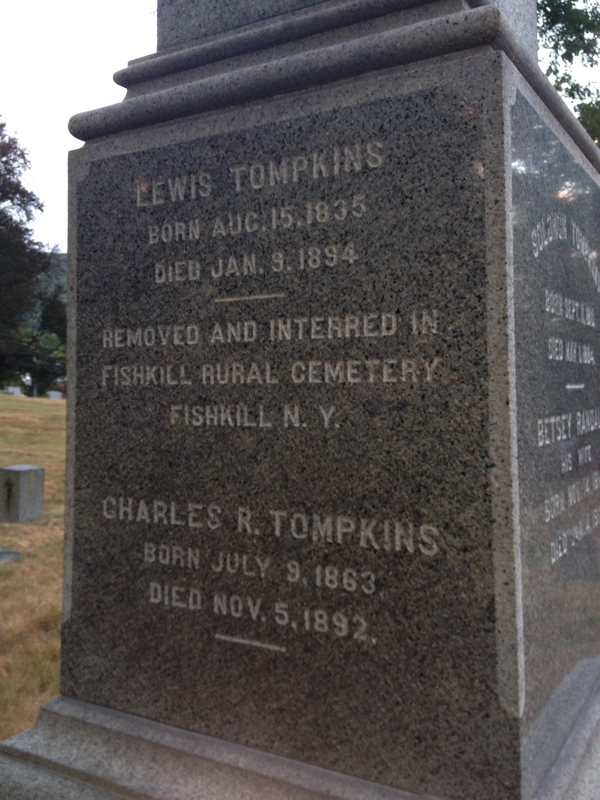 Lewis Tompkins was buried in St. Luke’s, but later re-interred in Fishkill Rural Cemetery. 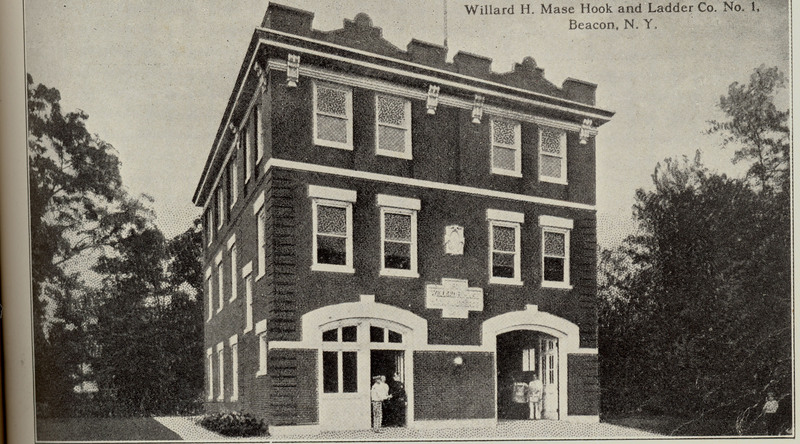 Willard Mase also owned hat factories in Beacon. Mase Hook and Ladder is named in his honor. 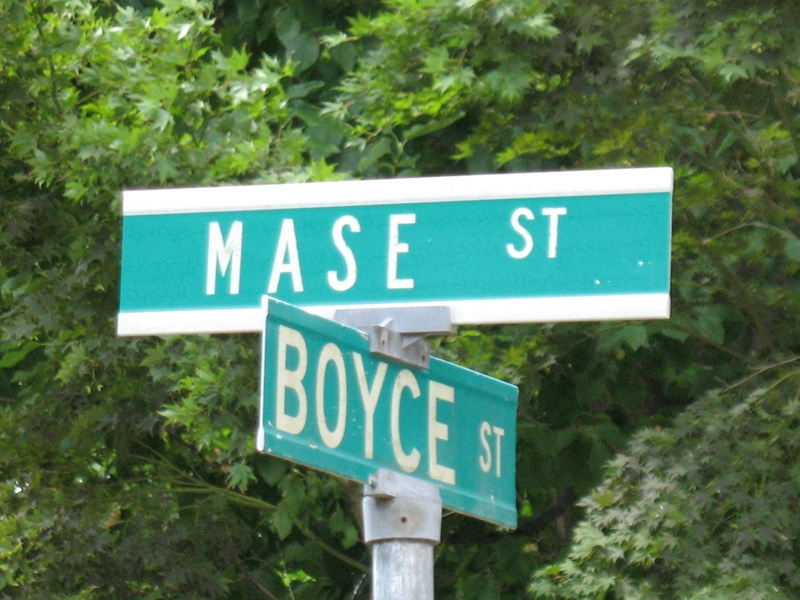 Mase Street is named after Willard Mase. Charles Davies – was a Mathematician who taught at West Point and was known for his mathematics textbooks. His home was near Davies Terrace. 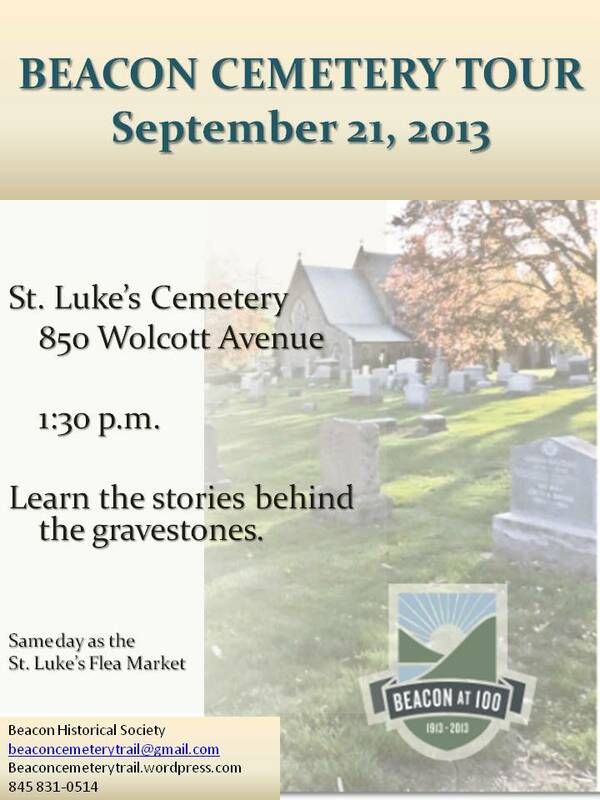 Other family members are buried in St. Luke’s. 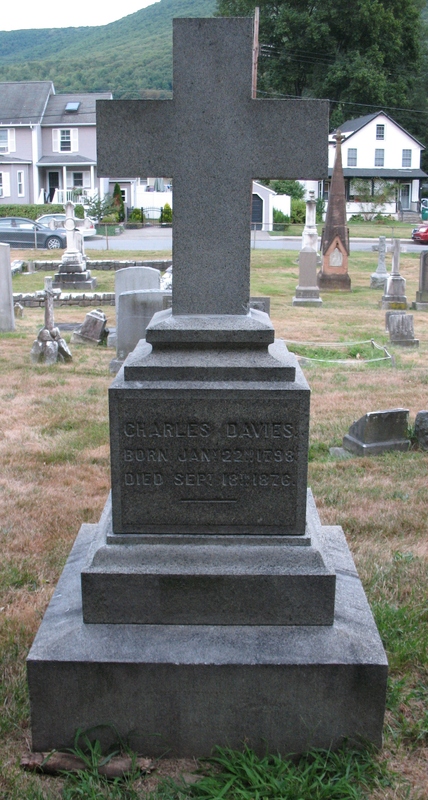 Charles Davies’ gravestone has been repaired. 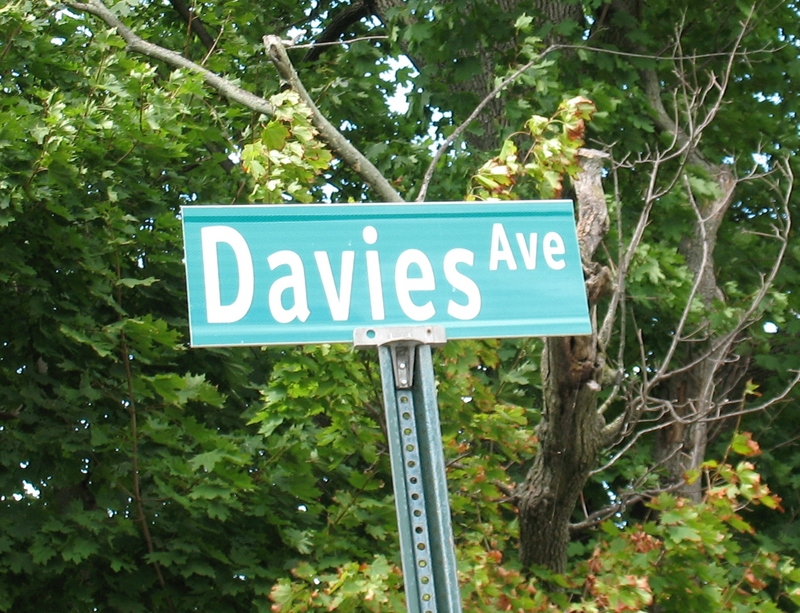 Davies Avenue is named for Charles Davies. Charles Davies. The cross had toppled from it’s base. 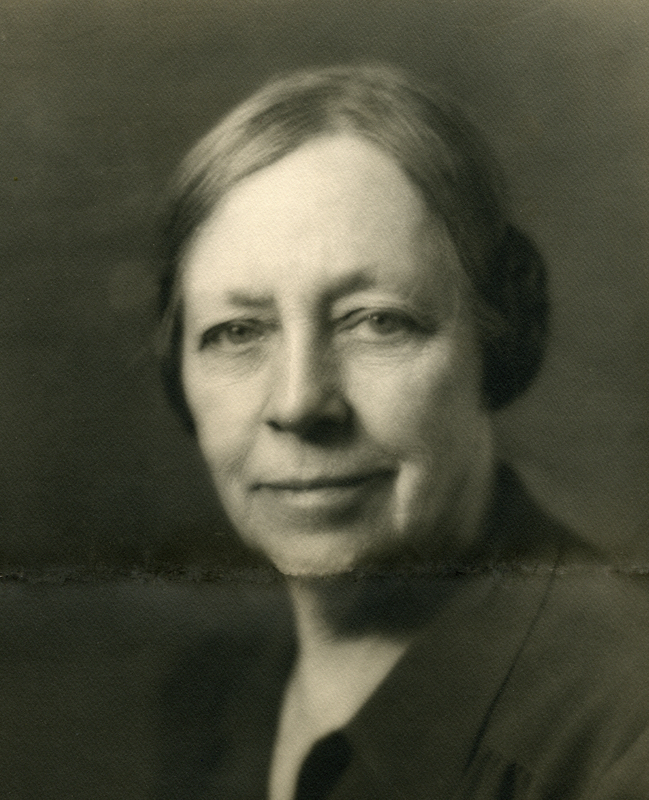 Alice Judson was an artist in the 1920s and 1930s. 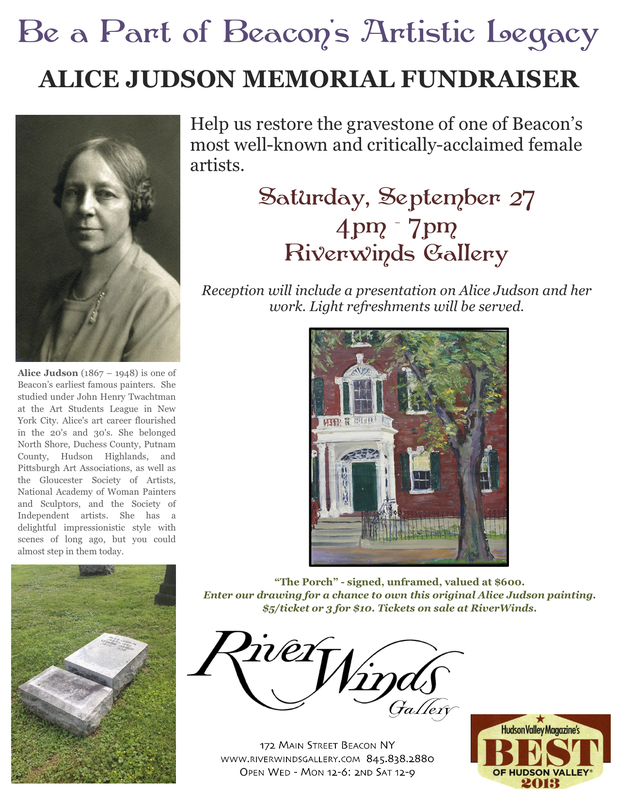 Her stone had toppled and was recently fixed by the Beacon Historical Society and the Beacon Arts Council. Headstone had toppled and was fixed last year. 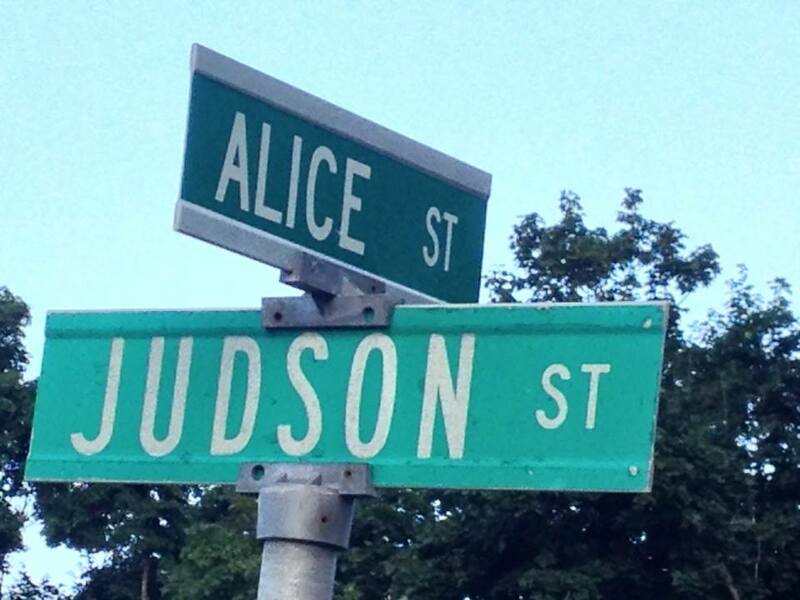 Judson Street was named after Alice Judson’s father, Roswell Judson. 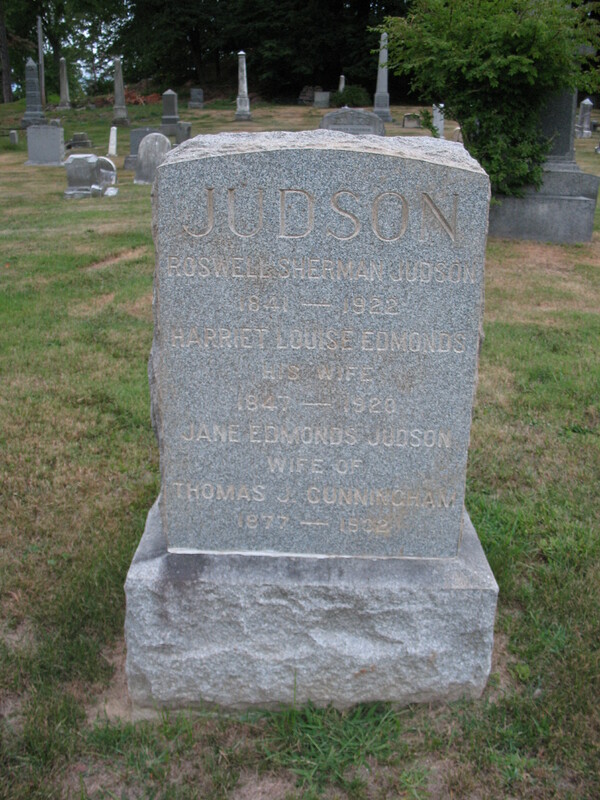 The Judson family gravestone after repair. 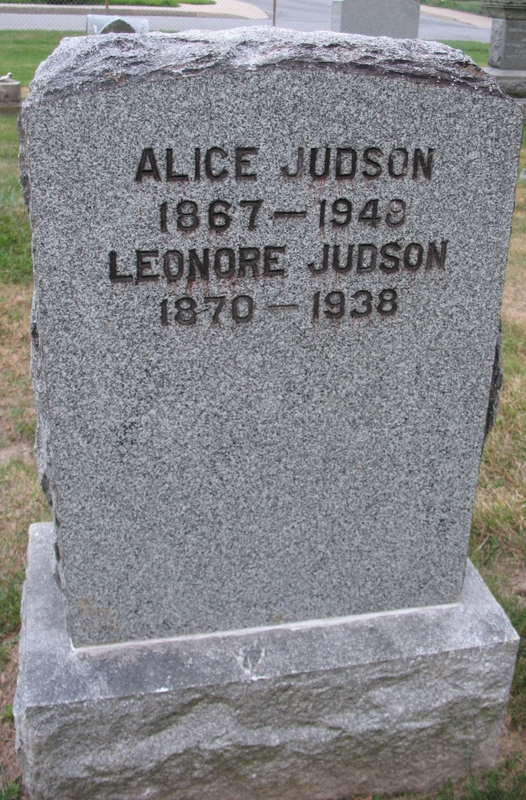 Alice Judson and her sister Lenore. 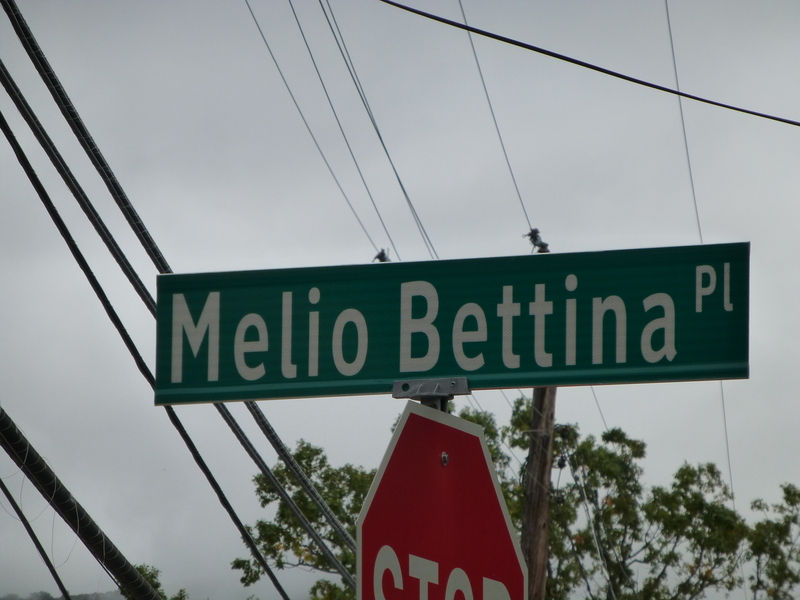 Melio Bettina was the Light-Heavyweight Professional Boxing Champion in 1939 and in 1995 was inducted into the World Boxing Hall of Fame. Henry Wintrhop Sargent was a Landscape Architect, philanthropist and the owner of Wodenethe, one of the most beautiful estates in the country. He designed the grounds of St. Luke’s. 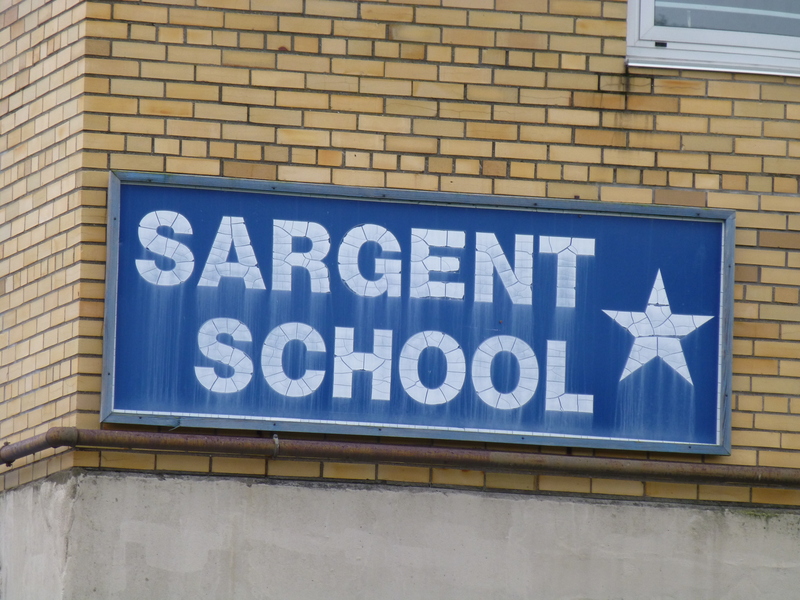 Named after Henry Winthrop Sargent. 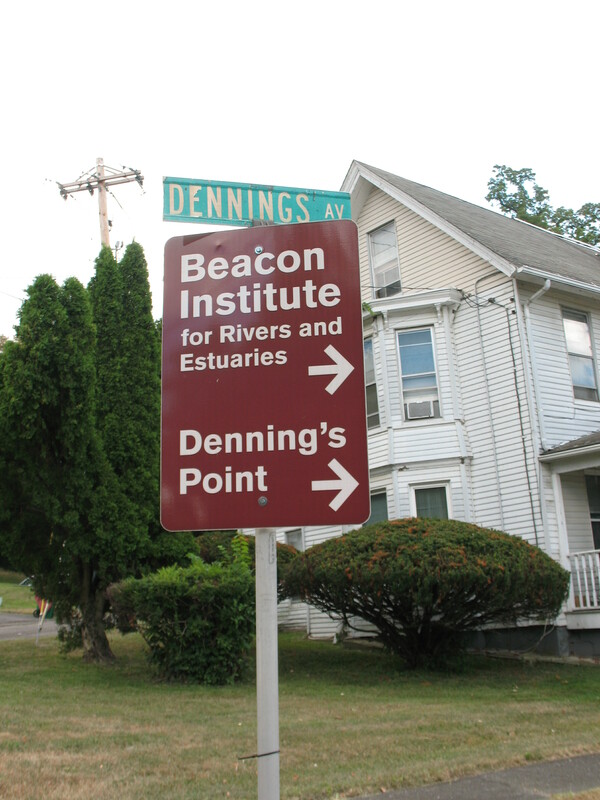 William Denning purchased the land in 1785 and his wife named it “Presqu’ile” – almost an island, but most people know it as Denning’s Point. 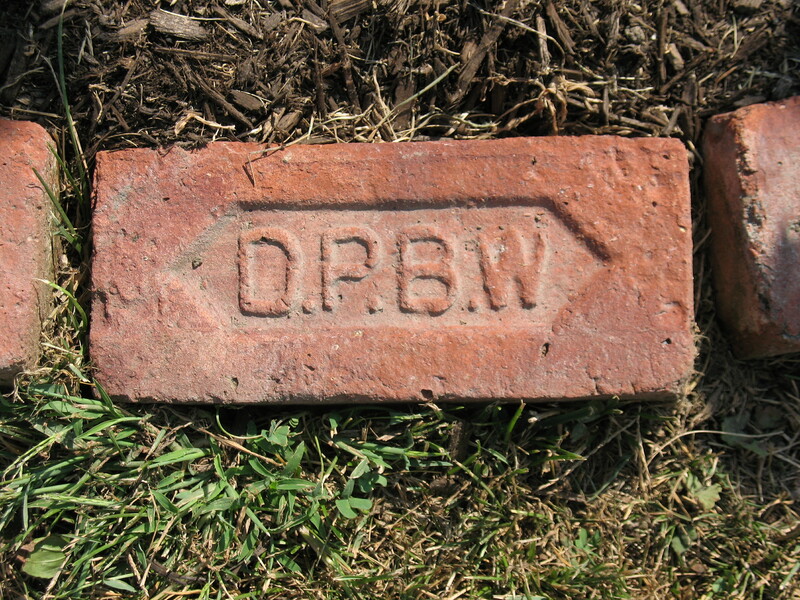 After the family left it became a brickyard; Denning’s Point Brick Works – DPBW bricks can be found in houses throughout Beacon.Today it is a state park. At the age of 19, in the fall of 1861, he enlisted in New York’s 57th Regiment for a term of three years. Due to poor health, Norris was discharged from the military in 1863. In January of 1864, when his younger brother Theodore joined the Union ranks, Roman re-enlisted too, this time in the 16th New York Heavy Artillery. 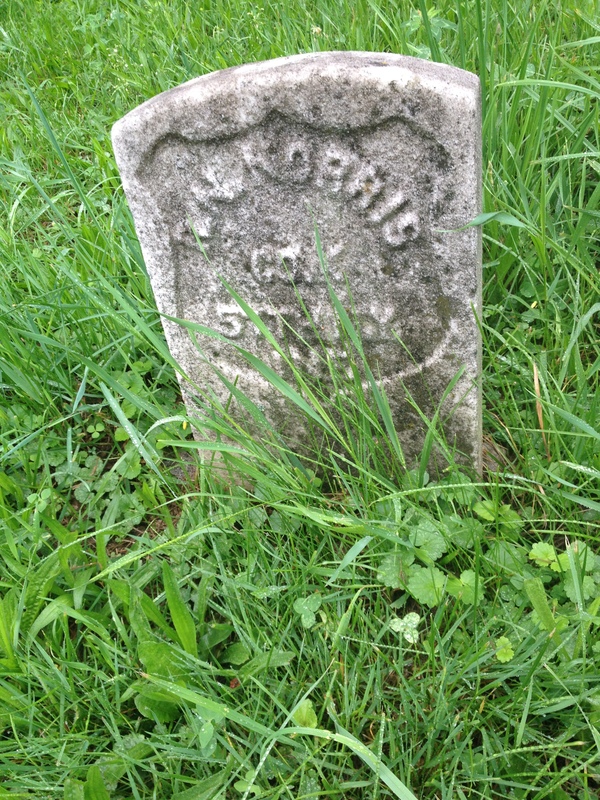 Soldiering again got the better of his health and Roman Norris died on June 26, 1865. 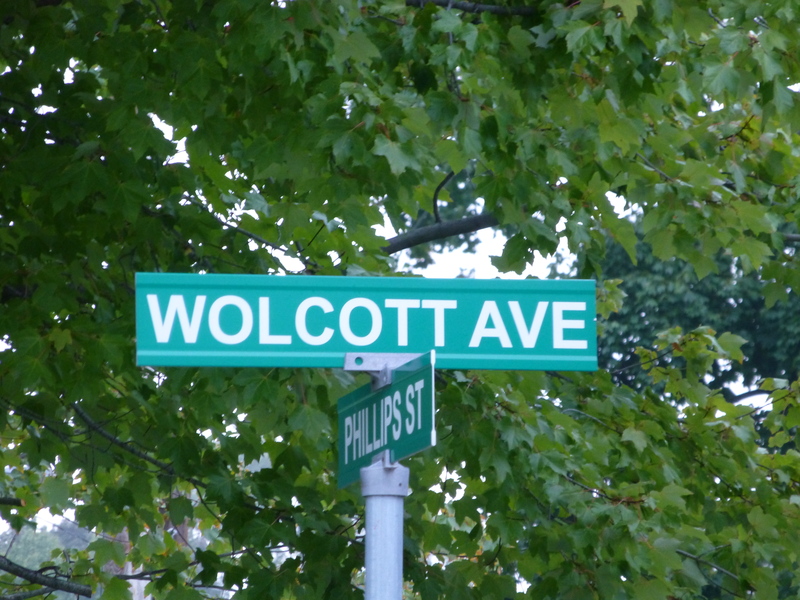 He was buried in an unmarked grave in the Methodist Cemetery on Beacon’s North Walnut Street. His brother survived the war and returned to Matteawan, where he worked as a hatter in a local factory. Theodore Norris died of unknown causes on November 16, 1867, and, like his brother, was buried in the Methodist Cemetery in an unmarked grave. Spencer DeFreese was born in Orange County and grew up in Chester, New York. On September 23, 1863, he enlisted in Co. H of the 8th U.S. Colored Infantry. DeFreese fought in the Battle of Olustee in Florida. After the war, he settled in Fishkill. He died on July 18, 1875, and was buried in the “Colored” Cemetery on North Walnut Street in an unmarked grave. 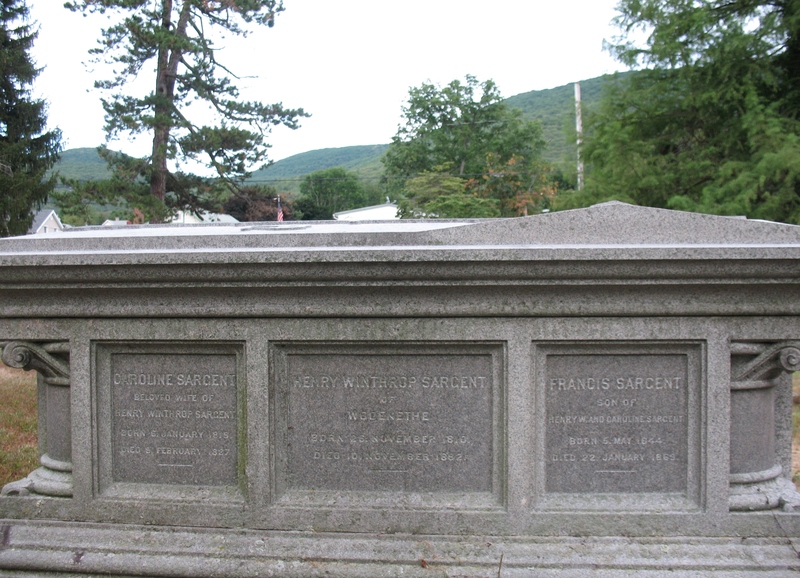 … These are only four soldiers of the more than 150 Civil War Veterans who are buried in Beacon’s cemeteries. Many of this number, whose families could not afford headstones, had no marker on their graves. In 1879, Congress authorized government-issued stones for the unmarked graves of Civil War veterans buried in private cemeteries. 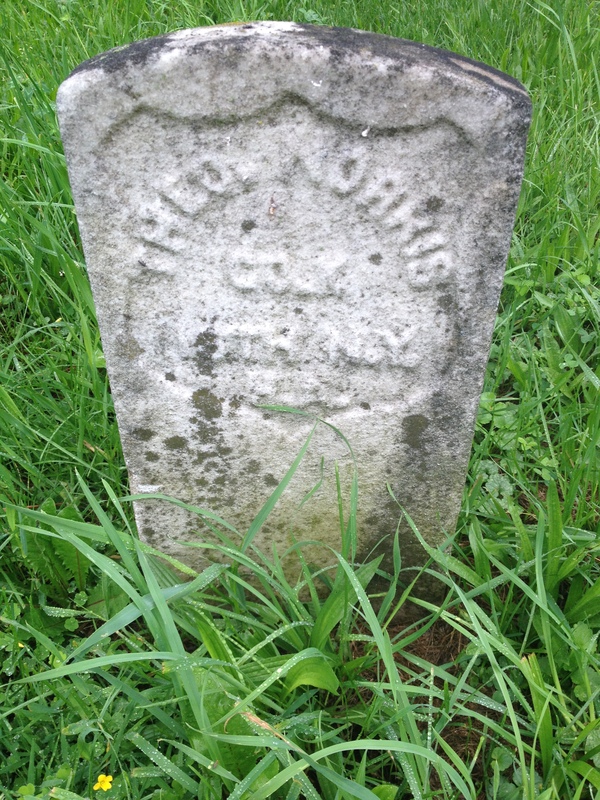 Our community’s Howland Post #48 of the Grand Army of the Republic took charge of this project, identifying unmarked graves and applying for headstones. The first group of 21 headstones—including those for the Norris brothers, Robert Pickles, and Spencer DeFreese—arrived here early in 1880 and set in place in local cemeteries that spring. The stones were of white marble, with a sunken shield in which the soldier’s name and unit appeared in bas relief. Over the years these stones have deteriorated, or were damaged or stolen by vandals. 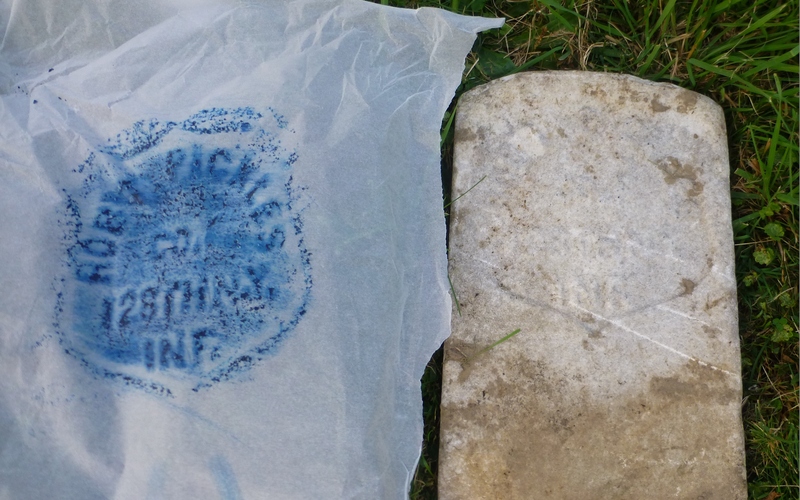 Today, most of the original government headstones of 1880 are in poor condition, many are missing. The Beacon Cemetery Committee with the help of our community plans to replace these veterans’ headstones. First on the list are those of the soldiers mentioned: the Norris brothers, Pickles and DeFreese. The Veterans Administration will provide the stones free of charge, with either the soldiers’ families or the community paying the cost of installation. 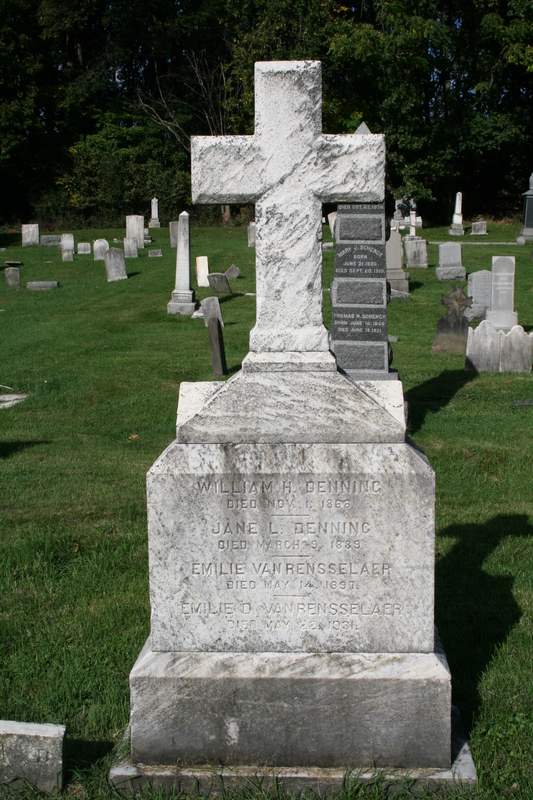 The Beacon Cemetery Committee, thanks to generous donations, has raised the money to install the first four headstones. 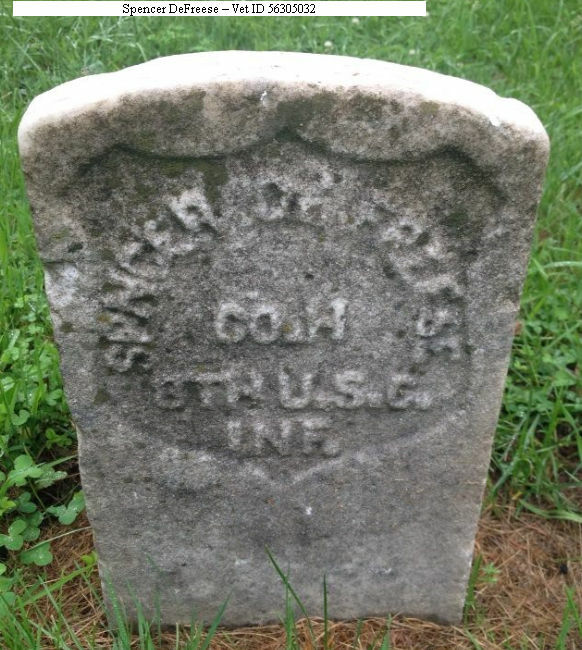 We need additional support not only in raising funds to replace more stones help in identifying and learning any local Civil War veteran who lies in an unmarked grave. We also would like to hear from anyone with an ancestor who was a Civil War veteran and is buried in a Beacon cemetery. Please join us in this worthy project. Alice Judson was an accomplished Beacon artist who specialized in landscapes of Dutchess County and seascapes of Gloucester, Massachusetts. In the 1920s and 1930s, when her fame was at its peak, Judson was considered by critics as one of America’s foremost women painters in marine studies. Miss Judson received her training at the Art Students League in New York under the tutelage of John Henry Twachtman. 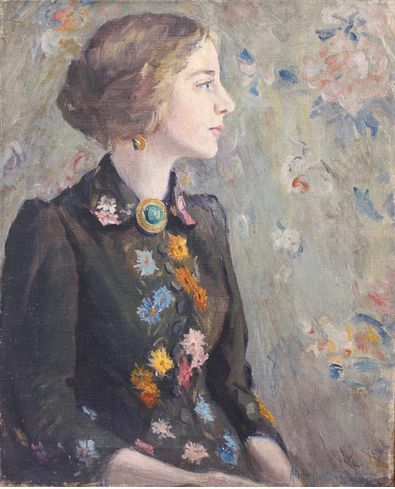 She further perfected her craft with frequent trips to Europe in the early years of the twentieth century—primarily in Paris, France—all in all, studying art for 16 years in this country and abroad. Judson became an instructor at the Pittsburgh School of Art in the 1920s, and by the 1930s, she had frequent one-woman shows of her oils and watercolors in New York City galleries. Older Beacon residents best remember seeing Alice Judson painting scenes of Fountain Square near her home on Leonard Street, or visiting her “Forge Studio” on Tioronda Avenue near the Howland Cultural Center to view one of her exhibits. Some of her best work was painted locally: paintings such as “The Pond at Gayhead,” “Haystacks at Glenham,” and “Lengthening Shadows” at Cold Spring. For the last 30 years of her life, she also maintained a studio in New York City at West 37th Street. 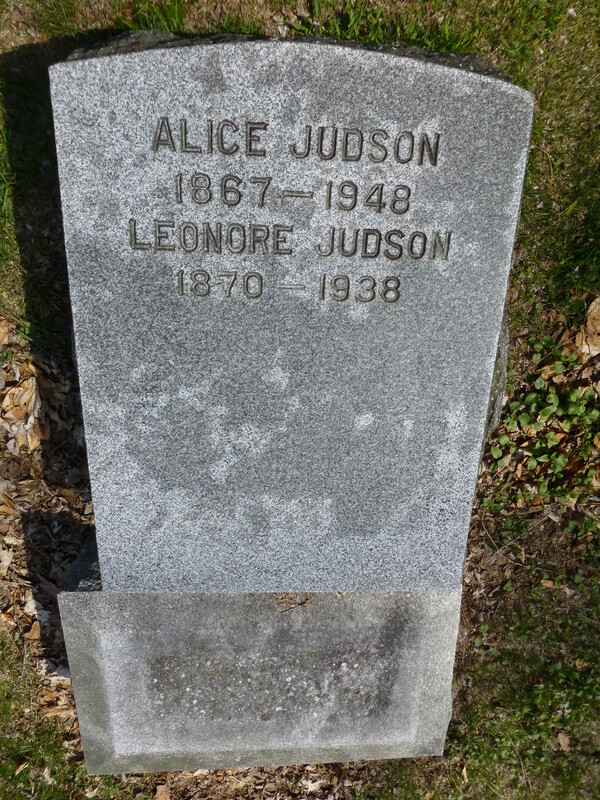 Alice Judson died on April 3, 1948, and is buried at St.Luke’s Episcopal Church Cemetery in Beacon. The Beacon Historical Society has several of her paintings and they are on display in the society’s office. It will cost about $500.00 to repair Judson’s headstone. One of her paintings, “The Porch” is being raffled off to raise funds; you can purchase tickets at the Riverwinds Gallery or at the Beacon Historical Society. Tickets cost $5.00 for one ticket or three for $10.00. The winning ticket will be pulled at a reception at Riverwinds on Saturday September 27, 2014. 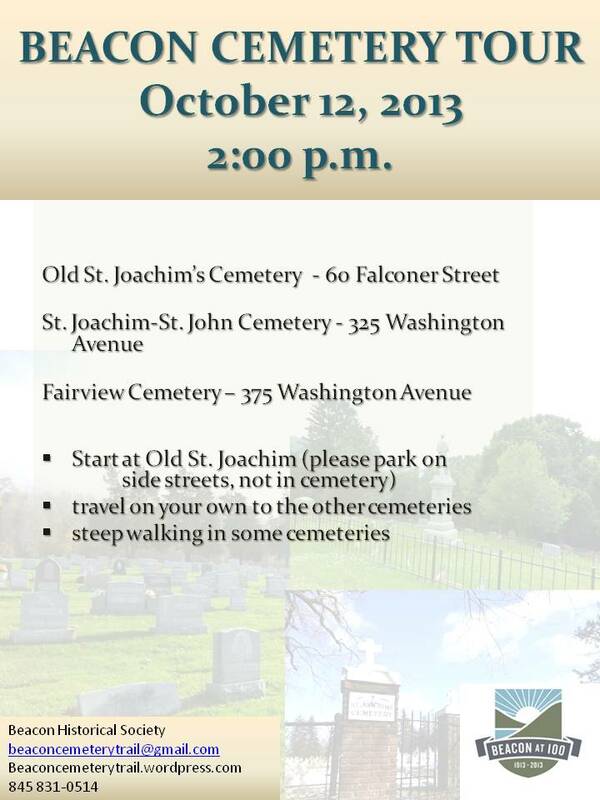 A raffle will be held to raise funds to repair the headstone. On the corner of Union Avenue and Phillips Street, near the chain link fence that borders St. Luke’s cemetery is a gravestone that has obviously been repaired. An old marble stone, broken at the bottom, has been attached to a new granite stone. 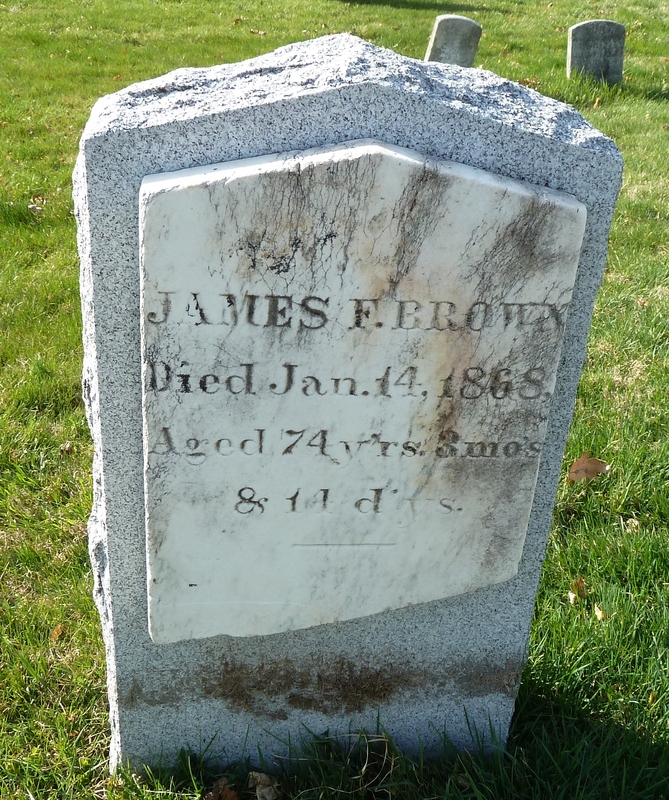 It is the grave of James F. Brown, who died on January 14, 1868, aged 74 years, 3 months and 14 days. 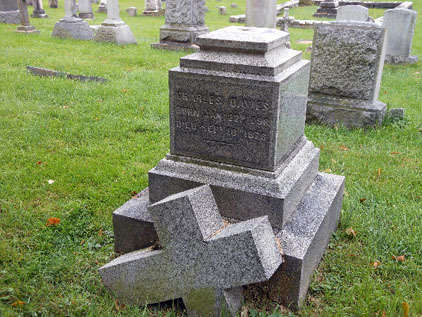 People who walk or drive past the cemetery may not have know who James F. Brown is and why his story is so interesting. James Brown’s gravestone in St. Luke’s. It was repaired a few years ago, but moved from its original location. Mr. James Brown, a colored citizen who has been a resident of this village for nearly forty years, died at his residence on the Verplanck estate, on Tuesday. Mr. Brown was well -known to nearly all our citizens. He was formerly a slave in Maryland, but his master giving him his freedom, he came north, and by industry accumulated funds enough to purchase the freedom of his wife. For about thirty-six years, he has lived with the Verplanck family, first as a coachman, but for the last twenty years as head gardener. He was, as near as we can learn, about 73 years of age. He assisted at the building of the Episcopal Church, Matteawan. Mr. Brown was an old landmark, a prominent man among the colored people, always courteous and deferential, with a good education, probably self-acquired, and his death will be regretted by many. Brown’s wife Julia is believed to be buried with him, although her name is not on the stone. 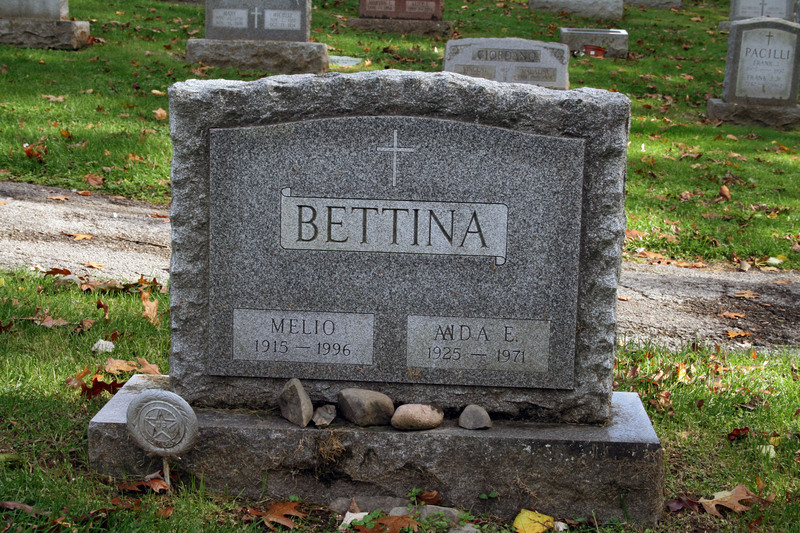 She died in August 1890 and although her age is a mystery, she was probably in her 90s. She told the story of how, as a young girl she had witnessed the British attack on Washington, D. C. She too had been born a slave and her husband paid for her freedom. Eventually, Brown’s stone eventually toppled and broke. The Beacon Historical Society and the Mount Gulian Historic Site located it up on the hill where the Browns are buried. After it was repaired it was reset in its current location. 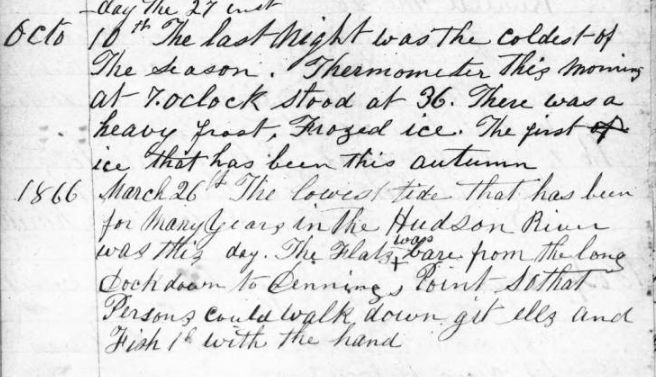 Brown is noted for the journal he kept from the late 1820s to the 1860s in which he recorded daily events including the weather, planting, purchasing seeds, and births, marriages and deaths of the people in Fishkill Landing. 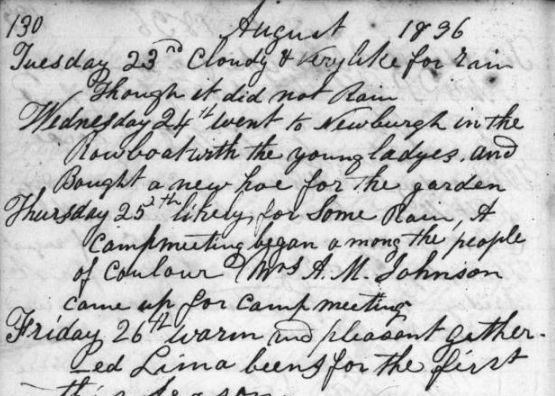 He also records the comings and goings of his wife, Julia, who he usually refers to as Julia Brown. She worked at various houses throughout the area. often staying for days or weeks. In the summer she would go to Saratoga Springs to cook at one of the hotels. In 1857 Julia Brown went up to Saratoga Springs as she did every year. Julia Brown returns from working with the DeWindts, the winter of 1839. 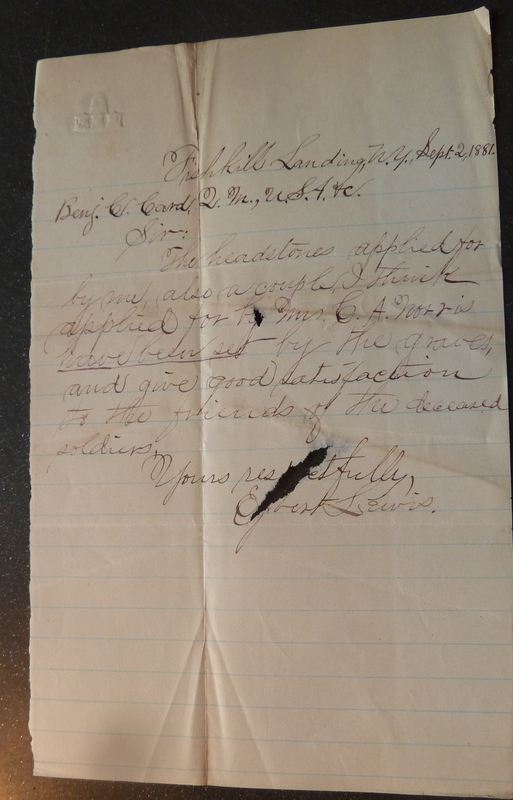 James Brown purchased his house and recorded the deed in 1836. James Brown voted for the first time in 1837. From time to time Brown recorded some news. Here he talks about a runaway slave. Brown often noted the celebration of holidays.